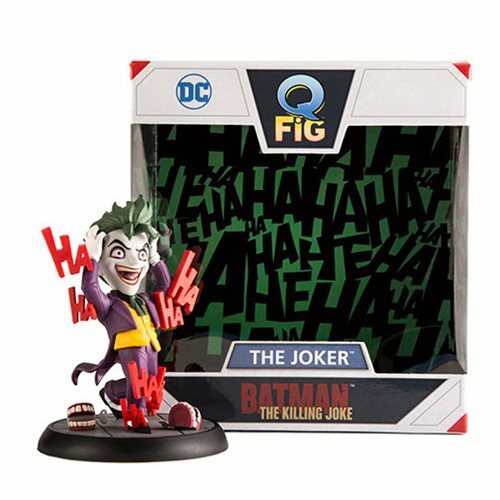 The Killing Joke comes The Clown Prince of Crime! 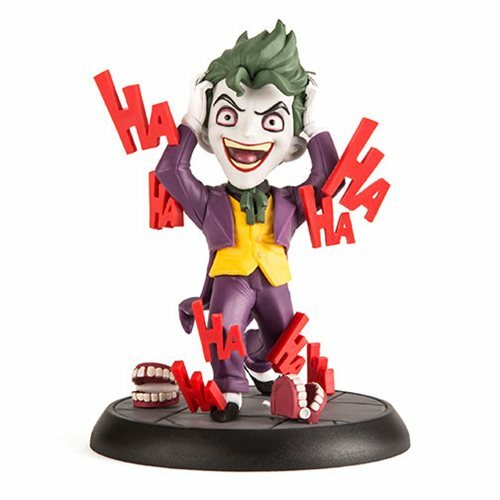 Depicted in his traditional purple suit, joker is surrounded by his favorite toys, the chattering teeth. 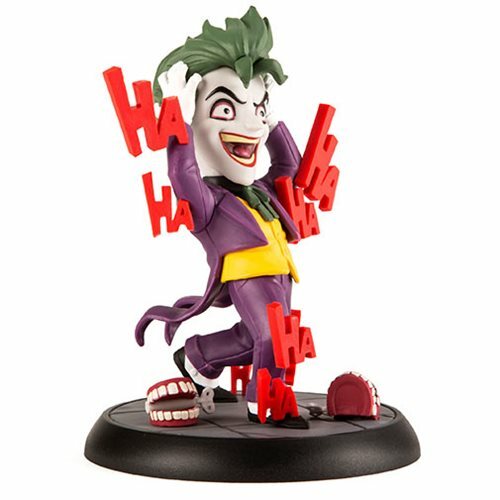 His manical laughter comes to life as his expression perfectly captures his trickster madness. 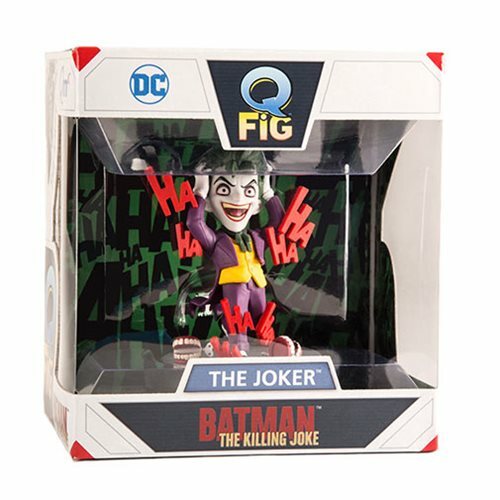 Measuring about 4-inches tall, this DC Comics The Killing Joke Joker Q-Fig Figure comes safely packaged in a window box. Ages 15 and up.